Army Recognition and its editors team, welcome and encourage all news releases and other material, with embargo if necessary, prior for the Dubai Air Show 2013.. There is no charge to submit product and press information to the team, but there is no guarantee material submitted will be published. 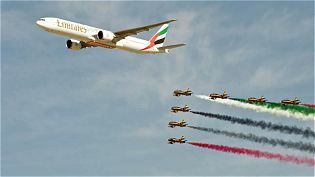 The Dubai AirShow is a biennial show held in Dubai, United Arab Emirates. It is organized by "F&E Aerospace" since the year 1989; in cooperation with the Government of Dubai, the Dubai Civil Aviation Authority, Dubai Airports and in collaboration with the UAE Armed Forces. The Aerospace industry is constantly evolving and growing and the Dubai Airshow is the foremost platform to promote any trends or discuss issues that will help develop the Middle East aviation industry. Since its inception in 1989, the Dubai Airshow has continued to grow and expand at a phenomenal rate. Exceeding expectations with every edition, it is now one of the most anticipated aerospace events in the international calendar. 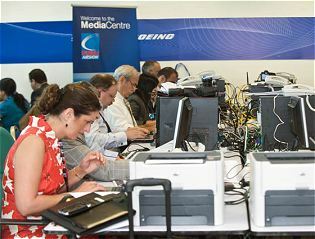 The 2011 show was a record-breaking event, which saw the debut of the Boeing 787 Dreamliner in the Middle East and a staggering total book order of USD 63.3 billion. 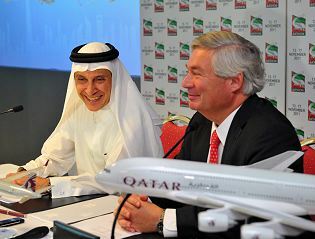 The exhibition has further risen to international prominence as many Middle Eastern carriers are choosing to make their major airline order purchases closer to home. Set over five days and only open to trade visitors, the event has featured 960 exhibitors from 122 countries and brought in 1,452 members of the media and more than 56,548 visitors from around the world. The Dubai Airshow is an event not to be missed. The Dubai Airshow is organized by F&E Aerospace in cooperation with the Government of Dubai, the Dubai Civil Aviation Authority, Dubai Airports and in collaboration with the UAE Armed Forces. The Dubai Air Show hosts more than 1,450 media representatives from print, TV, radio and online media outlets and had 6 show dailies in English and Arabic an important media presence giving exhibitors additional marketing and PR avenues during the show. Dubai Air Show 2013 International Aviation & Aerospace Defence Exhibition in United Arab Emirates. Pictures and Video Dubai Air Show 2013, available before November 17, 2013.